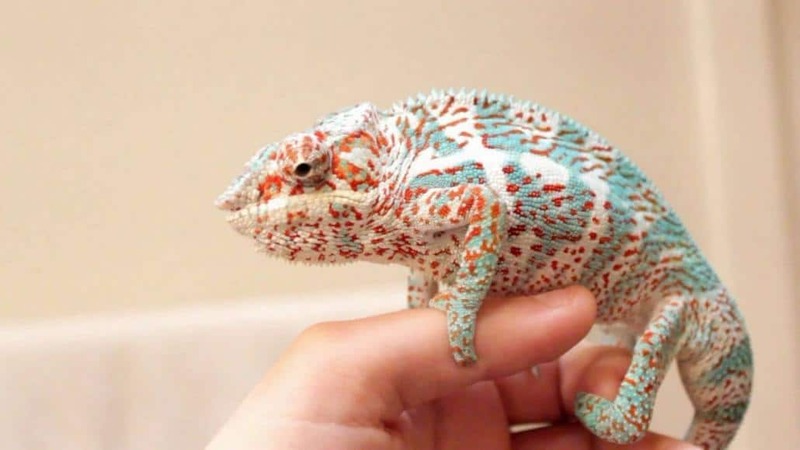 The panther Chameleon is easily the most beautifully colored and easiest to handle of all species of pet chameleons for sale. Baby Panther Chameleons for sale are fairly docile and males are known for being even “friendly”. 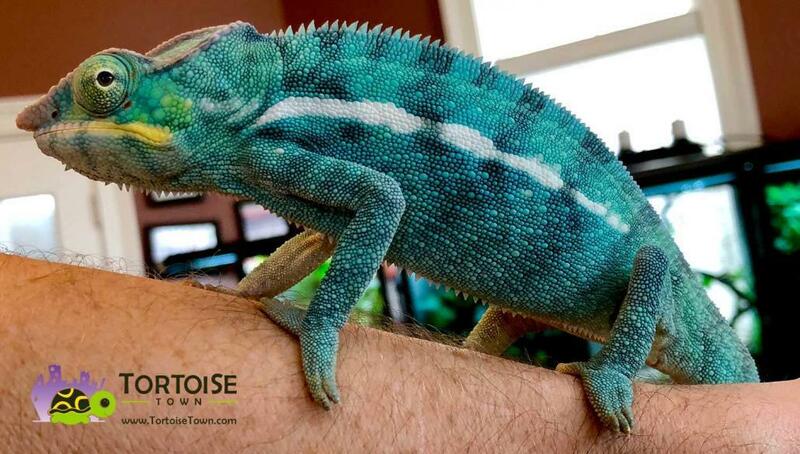 It is not uncommon for male panther chameleons to venture to your arm when you come to their habitat to feed them. 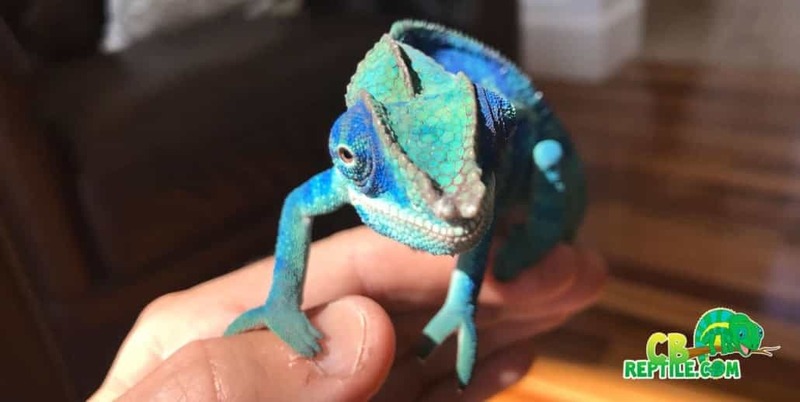 It is important that the panther chameleon breeder you choose handles their baby panther chameleons. 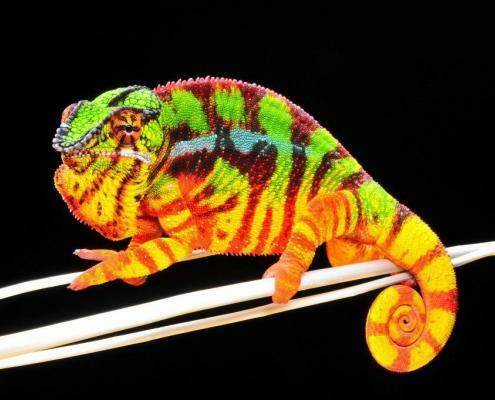 So be sure to choose the right breeder from where to purchase your new baby panther chameleon for sale. 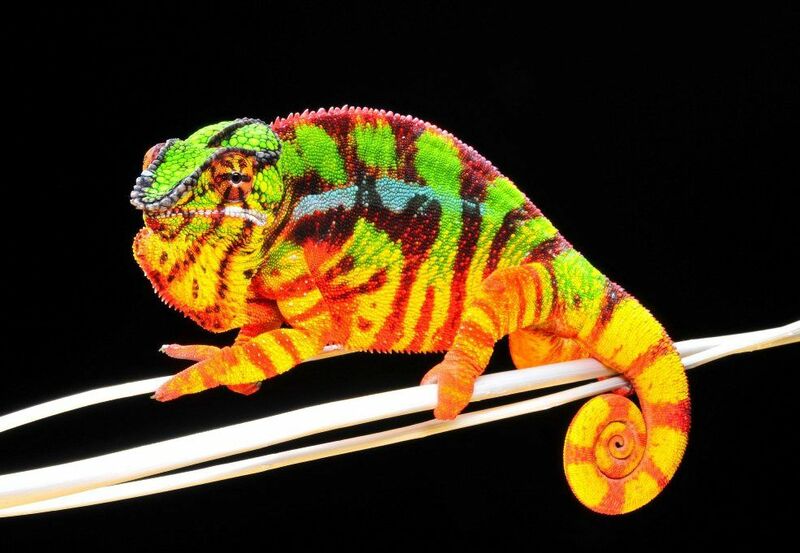 It is a common misconception that panther chameleons of any kind can change color to match any color of their environments. 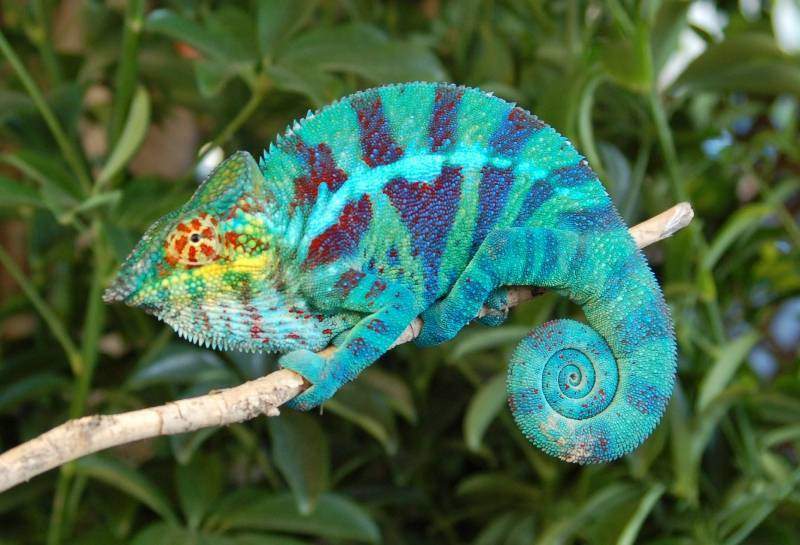 All chameleons have a natural color range with which they are born, and is dictated by their species. It is affected by temperature, mood, and light. If, for example, the color purple is not within the range of colors to which their particular species can change, then they will never turn purple. 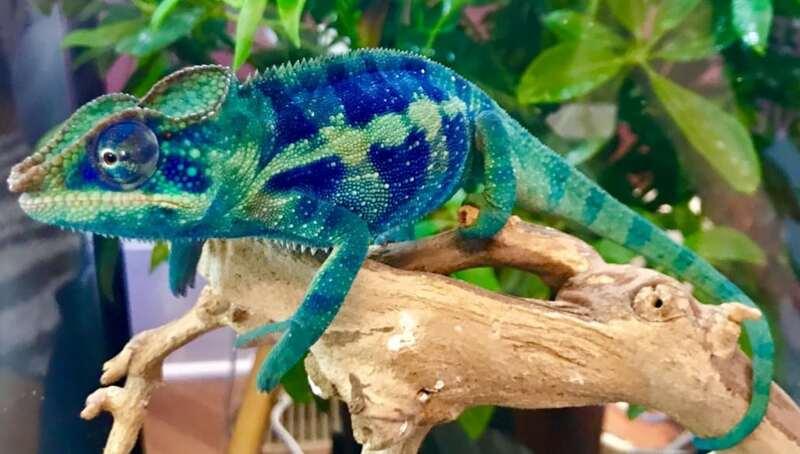 Panther chameleons are at the top of the list when it comes to care requirement but if set up correctly (correct Misting system, correct UVB lamp, and Hot spot, with plenty of foliage and climbing apparatus. 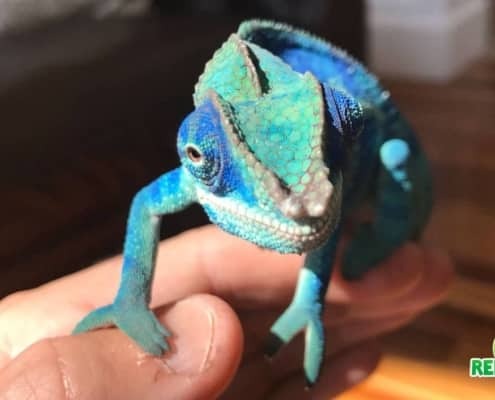 A Panther chameleon can make a great first time pet chameleon keeping experience. Panthers do not have extreme care needs like others in the pet chameleon world. They can adapt to changes in temp and humidity much better then most other chameleons can. For this reason Panthers should not be over looked just because of there price. A captive bred Panther will be much hardier then any WC chameleon out there. 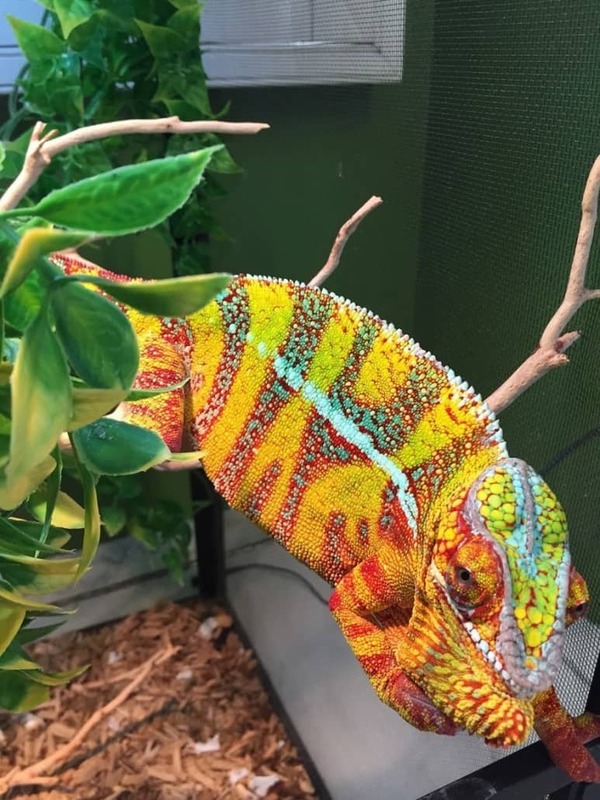 With a Biologist ON SITE, all of our Ambilobe panther chameleons for sale online are outstandingly vibrant with color and all will come with our live arrival and full 7 day health guarantee. 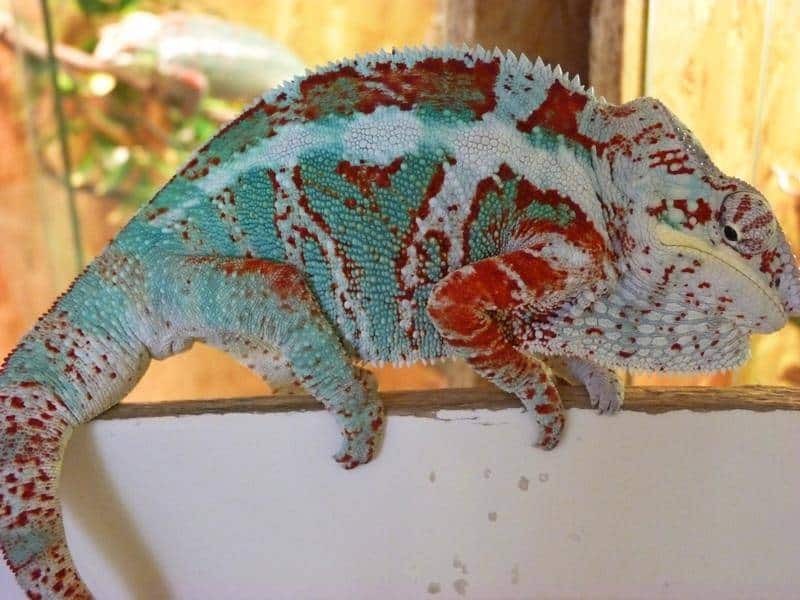 Our Ambilobe Panther Chameleons for sale are ready to ship to your door via FedEx in heated or cooled containers and will arrive the morning after shipment. Typically they leave here around 7pm and are on your doorstep the next morning between 8-10am.